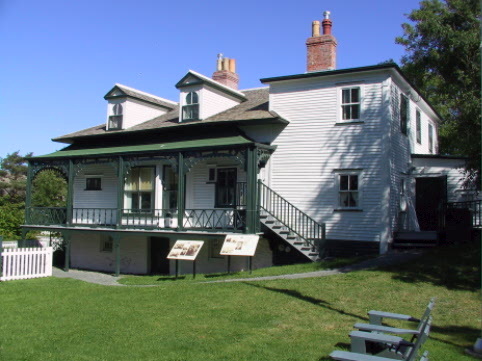 Hawthorne Cottage National Historic site. Home of Captain Bob Bartlett. Welcome to Hawthorne Cottage Home of Captain Robert Abram Bartlett (1875-1946) honored by the world for helping American Commander Robert Edwin Peary to make his celebrated dash to the pole in 1909. For this and other contributions during a lifelong career devoted to northern exploration he was hailed as "the greatest ice navigator of the century". Captain Bob Bartlett one of Newfoundland's best known sea captains, and explorers. He was sought out by international companies to endorse products. Wheaties "The breakfast of champions" wanted Captain Bob as a spokesman. The oldest of 11 children, Bob Bartlett was born in Brigus, Newfoundland on August 15, 1875 into a family of skilled fishing and sealing captains. Bob Bartlett first commanded a ship at age 17, then received his masters ticket in 1898. Bob first went to the Arctic when he joined the Peary expedition to the North Pole in 1898 as First Mate on the Windward. The first attempt failed. When Peary made a second and successful attempt Captain Bob Bartlett commanded the expeditions vessel, the Roosevelt. People in the United States noticed the role that Captain Bob had on this historic voyage. Both Bartlett and Peary were treated like heroes when they returned. The Canadian Arctic expedition of 1913-1918 under Arctic explorer Vilhjalmur Stefansson on the ill fated Karluk, earned Captain Bob Bartlett the following citation from marine historian Thomas Aplleton: "the finest feat of leadership in Canadian Maritime history". Captain Bob commanded more than twenty Arctic expeditions. Many of these voyages were devoted to advancing scientific knowledge of the north. During World War II, he and his famous schooner the Effie M. Morrissey were commandeered by the U.S. Navy for hydrographic and supply work in Frobisher Bay and Greenland. Captain Bob Bartlett was also cast in the role of a sea captain in a move titled "The Viking" by Varrick Frissell. No matter how far north he sailed, Captain Bob Bartlett seldom returned to his New York home without docking in Brigus for a few days. At his wharf he had constructed a tunnel to help load the ship. Here in Brigus he enjoyed time with friends and family at Hawthorne. 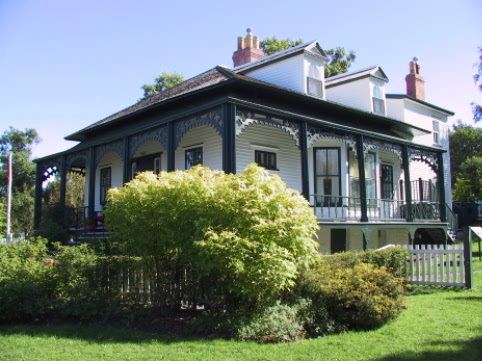 Hawthorne cottage came into the Bartlett family through his mother, Mary Leamon Bartlett. 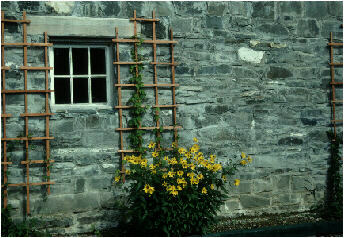 It was built in 1830 by her grandfather, Brigus Merchant John Leamon. 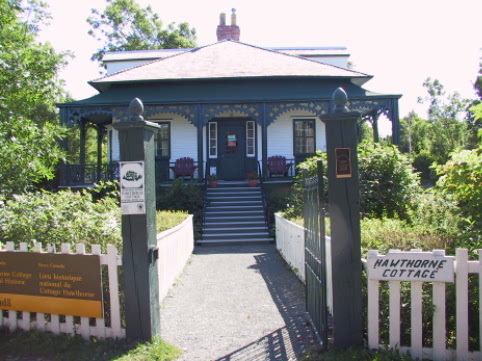 Hawthorne Cottage combines features of both Newfoundland vernacular architecture and that of the picturesque or cottage orne style. 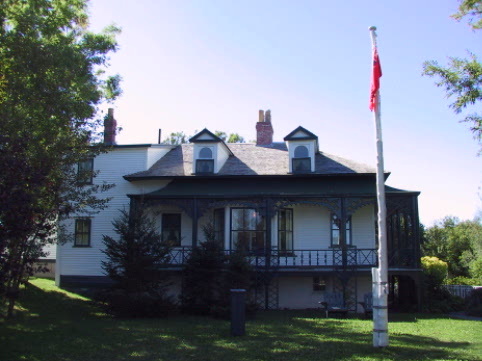 The Historic Sites and Monuments Board of Canada have recognized the architecture of Hawthorne Cottage. 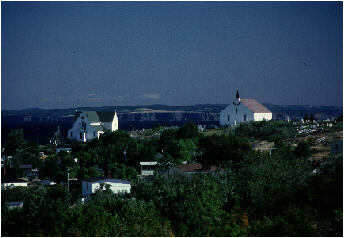 It typifies the refined lifestyle of Newfoundland outport merchant families of the nineteenth and early twentieth centuries. It is open in the summer from 10a.m. to 6p.m.. During the off season through personal arrangement. Site grounds are open to the public free of charge. Fees apply only to the interior of the cottage. For further information contact the Historic Sites Association of Newfoundland and Labrador, Box 5542, St.John's, Newfoundland, A1C 5W4. Phone (709)753-9262. 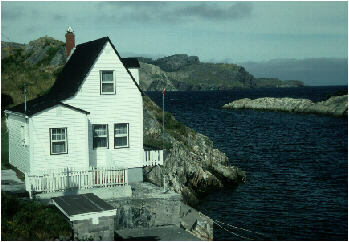 The town of Brigus is a "must see" to visitors to the Avalon Peninsula. 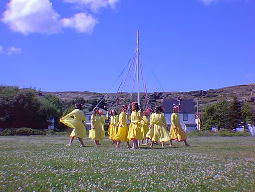 A small village which is proud of its heritage, Brigus is host to theatre and walkabouts during the summer months. Visitors will love the quiet streets and scenery. A stone building has been restored and now houses the museum. 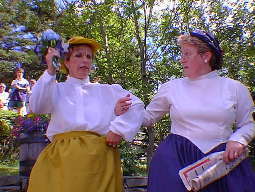 Locals entertain visitors during the summer months.